Congratulations to the two recipients of the 2015 Banker’s Cup Citizens of the Year, Mrs. Audrey Nettlow and Mr. Bob Gernert. 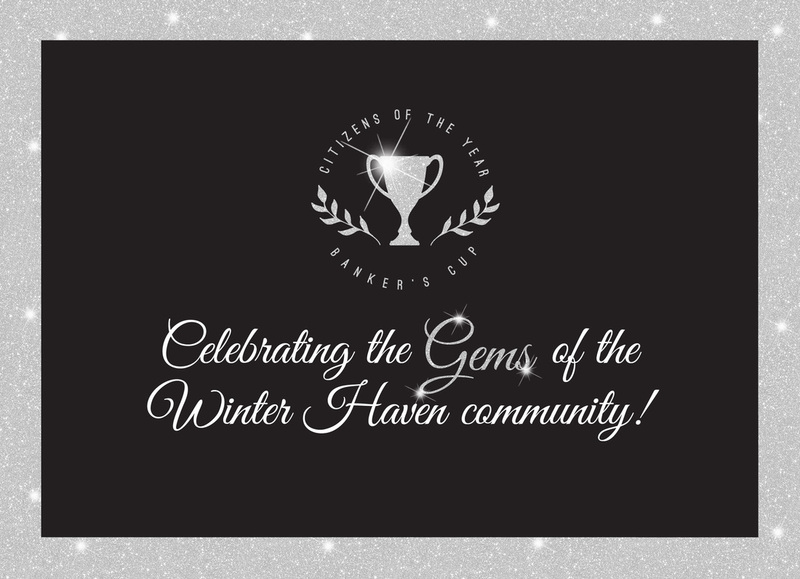 Read more about their many contributions to the Winter Haven community below. Audrey teaches Sunday school.Audrey serves as a Guardian Ad Litem. Audrey has been a guide dog trainer for the Southern Guide Dogs Association. But Audrey is certainly known best in our community for the work she has done for our educational system. 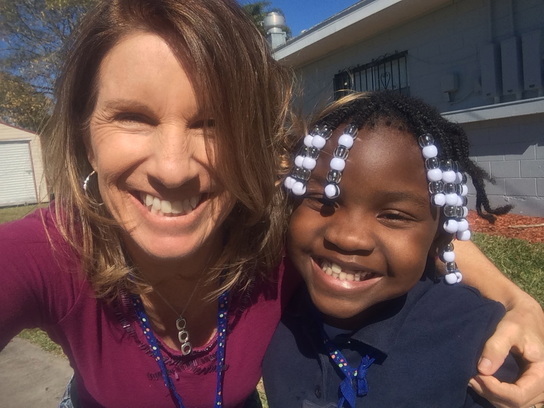 When her children began attending Winter Haven High School, she became very engaged with the school as a volunteer and saw first hand the needs that the school had, both for students and for faculty and staff. She founded the Winter Haven High School Academic Booster Club, which provides needed funding through grants to teachers and staff for educational resources and materials. She also chaired the Winter Haven High School Blue Devil Angels, a parent group that encourages and motivates school faculty. One nominator noted that tonight’s winner was, by far, the most involved parent in the school and ­no group or individual has ever met her level of service and commitment. And for that she was named Winter Haven High School’s Volunteer of the Year in 2011. But her dedication to Winter Haven’s public school system success did not end with the graduation of her own children. In 2010, she became engaged in a new community movement spearheaded by Doug Lockwood called the Winter Haven Public Education Partnership. This group, that many of you are familiar with, is a non-profit committed to assuring that Winter Haven’s schools are unequaled in quality, relevance, and student performance. PEP seeks to improve its schools through advocacy, community engagement, and collaborative partnerships. When Doug approached her to serve as the unpaid, volunteer executive director of PEP, she stepped up willingly. It is through her dedication to this organization that Winter Haven has become a driving force for educational support, advocacy and reform in our county. As a direct result of her leadership, PEP has already had a significant impact on education in Winter Haven. Audrey was the driving force behind the PEP Tutoring Center in Florence Villa. Through partnerships created with local businesses and the City of Winter Haven, she planned and organized the renovation of the old Police Athletic League building on Ave R NE and she and other volunteers tutor over 60 students after school. In addition to the after school program, last summer, and again this coming summer, the PEP Tutoring Center will host 40+ four-year olds through the Camp Ready program – a partnership with the Learning Resource Center and the United Way of Central Florida. In addition to these many things, Audrey has also been instrumental in the PEP initiative, Career Connection, which has already matched over 200 high school students with people working in a career that interests them. She also organized the Winter Haven Lakes Festival as a fundraiser for the Public Education Partnership and was instrumental in advocating for Winter Haven High School to be able to offer the Cambridge Program – an academically focused program internationally recognized by colleges and universities around the globe. This program will start at Winter Haven High School this fall. 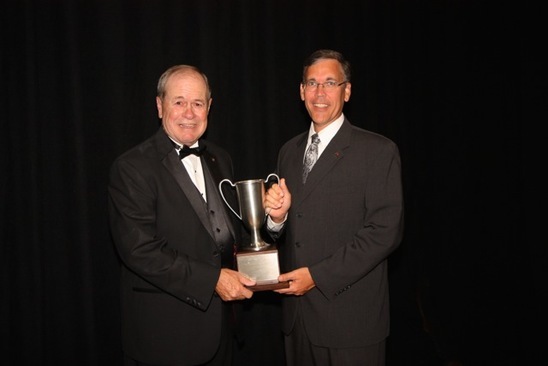 The 2015 Banker’s Cup Man of the Year is no stranger to anyone in Winter Haven’s business community. This longtime resident has dedicated the majority of his life to serving Winter Haven in many different capacities, both in single acts of service and through movements that have and will continue to frame the future of our community. Similarly, the preamble to the National Historic Preservation Act of 1966 declares that the spirit and direction of the Nation are founded upon and reflected in it’s historic heritage and that those foundations of the Nation should be preserved as a living part of our community life and development in order to give a sense of orientation to the American people. Realizing a need to preserve the history of our beloved Winter Haven, Bob served as a founder and president of an organization entitled “Historic Winter Haven.” Through this he assembled a group of local citizens who had similar interests in preserving the history of the community. After collecting artifacts for the past 15 years (many of which accumulated in his home/garage and let’s not even mention what happened with the arrival of eBay) Bob worked to facilitate an agreement between the City of Winter Haven and the Winter Haven Woman’s Club to transform the historic building on Lake Howard into the “Museum of Winter Haven History.” What some may not know is that he had taken care of the building for years prior to this to assist the club, often times seen painting, repairing and cleaning the historic gem. Bob now spends most of his Saturday mornings volunteering at the museum and enjoys listening, learning and teaching those who visit. In addition to preserving the artifacts of our past, Bob lead the efforts (time and time again) to save one of our county’s most beautiful assets – Cypress Gardens. As we well know, the gardens went through some troubling times at the turn of the millennium, including several ownership changes and the threat of commercial and residential development. Bob was instrumental in organizing efforts to mobilize concerned citizens and in 2003 successfully negotiated an agreement with the Trust for Public Land to purchase Cypress Gardens with the goal of long-term protection of this treasured historic attraction. In 2014, with Bob’s assistance and advocacy, Cypress Gardens was added to the National Register of Historic Places and we are lucky to have faithful stewards of that property in LEGOLAND Florida Resort. Bob has held several “history of the gardens” talks at LEGOLAND to introduces a next generation to it’s illustrious past. In addition to Winter Haven’s history, Bob has been dedicated to preserving all of Polk County’s history. In 2009 when the funding for the Polk County Historical Museum and Genealogical Library was threatened, he was appointed as chairman to a 12-member taskforce to take suggestions to the county commission on how to keep the museum open. The task force came up with 6- recommendation to help the museum overcome budget shortfalls and the operation is still viable today. From serving as the Executive Director of the Winter Haven Chamber of Commerce for 18 years, to winning numerous awards in the field of Public Relations, to serving on the boards of numerous non-profits, to being recognized as a Distinguished Alumni at Polk State College, Bob has made an indelible impact on Winter Haven and he wants to ensure that while we celebrate and enjoy our thriving community today, we shall never forget the people, events, businesses and places that have woven the fabric of this place we call home. 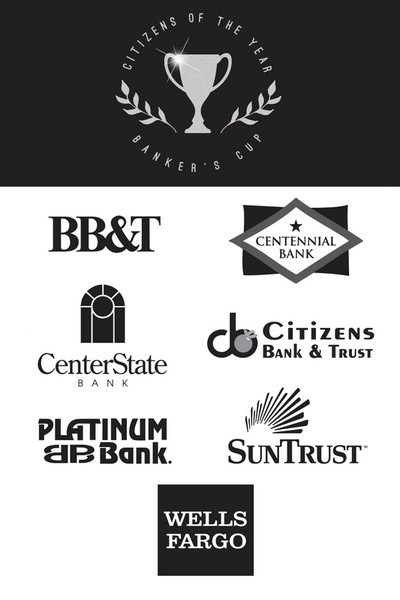 The Banker's Cup Citizens of the Year Gala celebrates the Winter Haven Man and Woman of the Year. Join us at the Winter Haven Armory for an evening of celebration and great food! At this event we highlight area restaurants in a dining extravaganza sure to thrill your taste buds! Join us for cocktails beginning at 6:30 PM and sponsored by Citizens Bank & Trust. Black tie optional. Sparkles encouraged. Valet Parking Available on Ave C.